The intuitive user interface of the CMD 102P LM3 Combo features, among others, a balanced input, 4-band EQ with VLE and VPF as well as a level control for the line output. Combo in a stage-friendly wedge housing format. Based on the same concept as the Little Mark III, this amplifier produces an output of 300W @ 8Ω, which can be expanded to 500W when connected to an external speaker cabinet. A 4-band sound control allows you to alter the sound. In addition, the popular VLE and VPF controls from Markbass are also built in, which help give the sound a modern or vintage orientation. A serial effects loop input is available for integrating external effects; tuners can be connected to the Tuner-Out connection. Two 10” B&C speakers deliver a powerful sound with a very quick response. The tuned bass reflex system with front opening is perfect for the lowest frequencies. The wedge shaped housing allows the Markbass CMD 102P LM3 to be positioned either straight or angled, thereby directing the emission angle of the speaker. 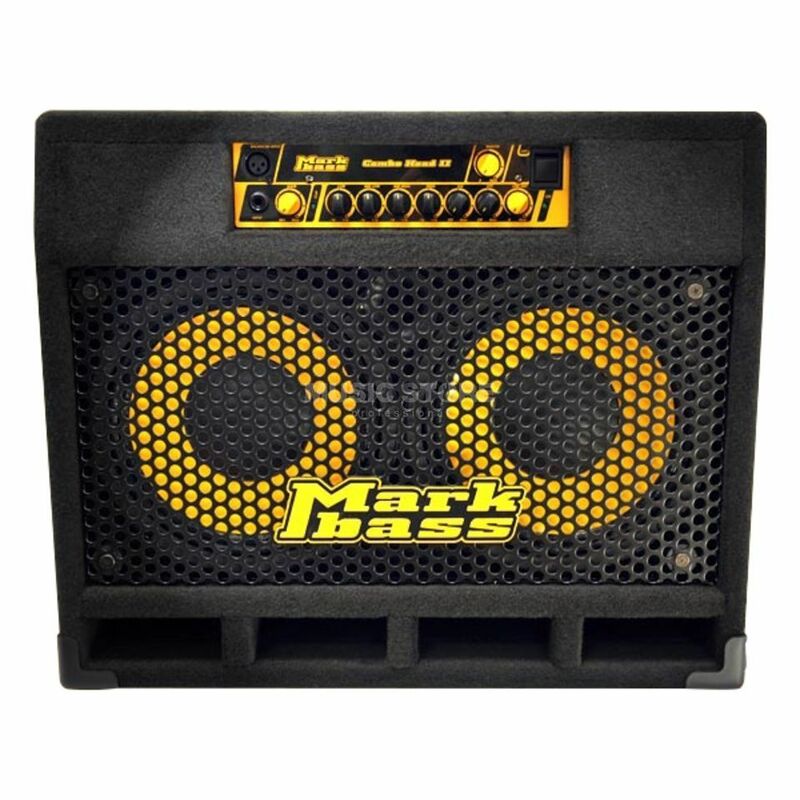 The combination of a digital interface, speakers with Neodymium magnets and the construction makes the Markbass CMD 102P LM3 very light weight and transportable, without compromising stability. On the rear you will find the speaker connections, effects loop and tuner out as well as the balanced Line output.